Spring is here. Man, is spring here. 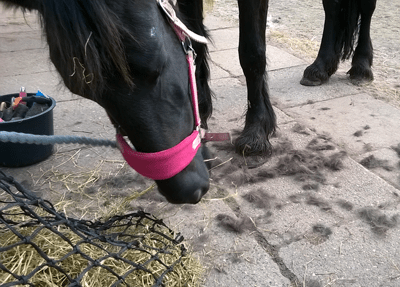 Brushed the equivalent of a shetland pony off Pilar today — and when we were done, I started over and now I have fur enough to knit at least two ponies. Anyone want a pony? You can pick between dirty black and dirty faded black. 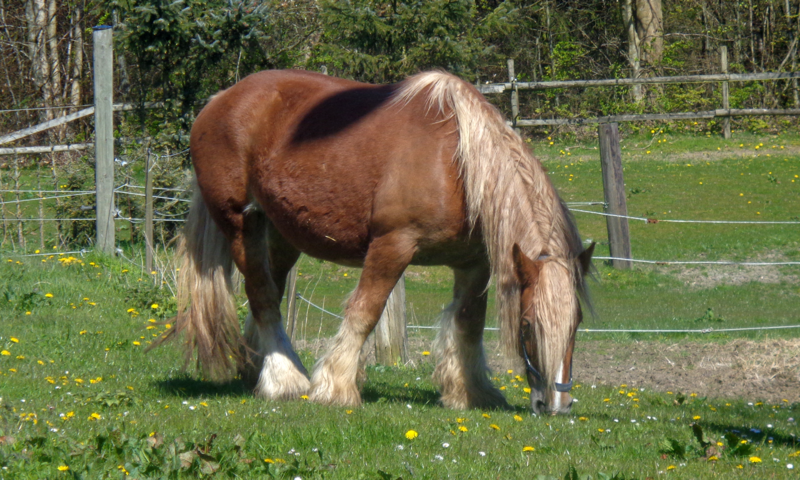 A new Icelandic horse arrived at the barn today just as we were entering the outdoors arena. Released into one of the paddocks he trotted around getting his bearings and I could tell right away that Pilar was all hyper and ready to bolt and buck at the first excuse, just waiting for new guy to give her one. She’s just so happy about spring! We went to the indoors arena instead but two rounds later she suddenly pretended to spook and run bucking up the middle. That’s when I decided that today was lounging day! I’m not up for another big fall this soon, thank you very much. Win all around, though. Pilar loves ground work and free lounging, and today she mastered the verbal gallop command. I can almost free lounge her by voice now just by sitting on a chair in the middle and calling out the signals!